References to a guitar-like stringed instrument date back nearly a thousand years, but honestly, none of these lute-ish, uke-ish oddities qualify as a guitar. There is a lot of debate about when the guitar was invented, but it’s generally believed that a mere 150 years ago, a Spanish carpenter named Antonio de Torres Jurado created the instrument that changed our lives and our music. Yes, gentle reader, all those countless hours you spent sequestered alone in your room playing guitar, instead of studying, can be blamed on this one man; you would probably be an attorney or a doctor today had that damn Spaniard just stuck to making tables and chairs. Unlike the violin, which reached its design and production pinnacle in the early 1700s with Antonio Stradivari, the design foundation started by our Antonio de Torres Jurado has constantly been updated and improved upon. American Songwriter chose ten—some modern and others not so modern—companies who have developed the art and science of guitar building to points that would have made past luthiers’ heads explode. These ten instruments I reviewed convinced me that guitars just keep getting better—and there is no end in sight. Reverse-matched East Indian rosewood back and sides, Canadian spruce top, handmade rosewood rosette and wood marquetry binding, African ebony fingerboard and bridge, L.R. Baggs Element Active pickup, bone nut and saddle, German gold Schaller tuners, bone nut and saddle with 18-hole bridge design. Many guitar companies embrace the McDonald’s business model: use technology to automate as much as possible, reducing the need for skilled workers. In contrast, Delgado Guitars remains nearly unchanged since 1928, when Manuel Delgado’s grandfather began painstakingly crafting instruments that were sought after by the world’s greatest guitarists. If Andrès Segovia was a repeat customer, then you are doing something right. Manuel Delgado (the living legacy of the Delgado family’s craft) works alone in his small East Nashville shop, building spectacular guitars using the knowledge, passion and some of the same tools handed down by his forefathers. In an age where corner-cutting has become the norm, Manuel remains an old-world luthier who uses only the finest materials and will spend 15 hours on an ornamental rosette, or an entire day fine-sanding the inside of a guitar to ensure that the sound meets no resistance. The work is so labor-intensive that Manuel can only build 12 to 20 guitars a year, but each one is a unique work of art. Cynics may think of this almost obsessive attention to minutiae as a waste of time, but those cynics don’t understand honor and artistry over commerce. Delgado’s quixotic quest is beautiful, heartwarming and a little sad; sad because a true artist making beautiful guitars like Delgado needs to be rewarded and recognized, but the pessimist in me is not sure our jaded age will get it. Thank God customers like Jackson Browne, Los Lobos, Jose Feliciano, Charo and Arlo Guthrie pay to play Delgados guitars instead of the free endorsement guitars offered by other companies. Price includes hard-shell case, solid spruce top, solid rosewood back and sides, mahogany set neck with vintage “V” profile, ebony fingerboard with vine inlay, ebony bridge, distressed hardware, aged natural finish. I love that Washburn, at 126 years old, is making a guitar that looks like it came out of their 1900 Chicago plant. The Washburns from the early 1900s were some of the most well-made, over-the-top, high-end guitars of their time. Their model 380 listed for $237.50 in 1912 which translates to about $5,233.74 today. By contrast, the R320SWRK is a bargain. Given the cost of wood today, I don’t know how they can keep these so affordable. Foreign labor keeps prices low, but the workmanship is solid, if not flawless, the relic-like finish looks authentic and they even send it in a “coffin” case that’s very 1900-ish. You have to let the R320SWRK be what it is, a Parlor guitar. It’s perfect to play at home, where its lack of volume is an asset rather than a deficiency. It’s the insomniac’s guitar; it can sing the player to sleep, but it won’t wake the family. Will it hold up in a jam session with our other legendary guitars? No, but that’s not its purpose. Keep the Parlor guitar in context. This guitar is for the player more than the audience; the gift players happily give themselves. A little before Charlie Christian helped popularize electric guitars, guitarists fought a losing battle with loud crowds and louder horn sections. The race was on to build something that could cut through to the audience. Hand-painted, thin-gauge steel body, mahogany neck, Ebony fretboard and nut, National brand tuners, includes hard-shell case, two-year factory warranty. John Dopyera’s contribution to the race for volume ingeniously borrowed from the technology of Edison and the Victrola phonograph. In 1927, he and his partner George Beauchamp debuted the Tricones. That’s the serendipitous nature of invention; designs often fall short of their intended purpose, but create something so unique that nobody would have found it if they were looking for it. The resonator was abandoned by its intended demographic, but embraced by the blues men of the Delta. Here was an instrument that sang like a fallen angel, had a flashy look and a hard metal body that could stop a stray bullet in a bar room fight. National wasn’t made for the blues, but it was a perfect fit nonetheless. The NPR I test drove was beautifully made, coming out of the case impeccably set-up and ready to play. This is not a re-issue, per se. I was surprised to find that the original National Stringed Instrument Corporation did not produce a steel Tricone. This guitar is the Tricone counterpart to the NRP single cone, which is very similar in spec to an original National Duolian. This Tricone was warmer than other resonators I’ve owned, which is no small feat when dealing with an instrument nearly devoid of wood. Slide notes sustain for days with a minimum of effort. This is the quintessential blues machine. I took it to a session where it stole the show with its tone; the simplest melody made the engineer smile. Wait, there’s more: the NRP Tricone comes with some cool case candy as well; a fun, retro-y booklet replete with CDs and paperback-sized National Guitar trading cards. Includes molded, hard-shell case; East Indian rosewood back, sides, fretboard and bridge, Sitka spruce top, Dovetail neck joint, chrome tuners, Martin’s limited lifetime warranty. In 1929, C.F. Martin and Co. answered the call for a louder guitar with their OM, or “Orchestra Model,” which combined a long-scale neck with a small body. The OM is the original 14-fret guitar. This was Martin’s first innovation—prior to their groundbreaking Dreadnought. Though never as popular as their Dreadnought series (the most copied body shape of any acoustic guitar in history), the OM remains the go-to acoustic for players like John Mayer, Rory Block, Paul Simon and countless others with discriminating taste. Owning a Martin is like owning a Harley; you just can’t help but feel proud to own a tiny piece of something so historically significant to U.S. manufacturing. Through the many ups and downs of their extremely long reign, Martin has remained a family business. It has to count for something when it is your name on the label; undoubtedly, this has contributed to Martin’s consistent quality. Playing a new Martin can be a bit misleading; their true voice doesn’t become apparent until you’ve banged on them for a year of so. Then, they blossom into the legendary sound that’s made Martin what it is. The OM-21 I test drove—even in its not-yet-broken-in state—has a compelling, woody, full sound that’s well-suited for fingerpickers, a genre that can sound a bit thin when playing on shimmery, chiming guitars. Although the OM possesses a meaty tone, it still has an open and airy quality that eludes a lot of bigger, darker guitars. Martins remain a high-end guitar line and the OM-21 delivers a lot of bang for the buck. Another thing to keep in mind is that you’re rarely going to lose money on a Martin. Hold on to it long enough and you will sell it for more than you paid. Wait long enough and your grandkids will dump your treasures for a fortune. Includes handmade, replica 1940s hard-shell “redline” case; solid Adirondack red spruce top, solid Honduran mahogany back and bides; Madagascar rosewood fingerboard and bridge, handmade scalloped and tapered replica red spruce internal bracing with hide glue; dovetail neck-to-body joint bonded to body with hide glue, nitrocellulose finish, tortoise tear drop shape pickguard. My friend Larry DiMarzio, (mad scientist, genius inventor, tone guru, collector of killer guitars) owns an ancient J-45 that optimizes that pure Gibson magic. I’ve never heard one as good as Larry’s until I test drove this spanking new 1942 J-45 Legend straight out of the Bozeman, Montana plant. Master luthier Ren Ferguson set out to replicate a 1942 J45 owned by historian Eldon Whitford. Ren’s replication process included X-raying the original, copying the bracing (including the saw blade markings) and using hide glue throughout. Everything on this guitar is period-correct. Short of retrofitting a DeLorean with a flux capacitor and harnessing 1.21 gigawatts of power, picking up this ‘42 J-45 Legend is about as close to time travel as you’re going to get. This J45 is very light, which seems to be a trend amongst booming instruments. Paradoxically, it is dovetailed with a big, chunky neck that’s comfortable, in spite of its size. You feel like you’re playing a grown-up guitar here. The truly great Gibsons have a sweet spot that resonates with your body. You can feel it in your sternum. This guitar has that magic, particularly in open G. The sound is not quite perfectly balanced (the warm lows and mids slightly overshadow the highs), but with a tone like this, who cares? That’s just part of the charm. Perhaps it is the Gibson “X” bracing used on the top, but this ‘42 J-45 projects a natural compression when you really bludgeon those strings. No wonder the J-45 was nicknamed “The Workhorse.” It can handle anything you throw at it. Now, why would somebody buy a brand new vintage guitar when you may be able to find an old one for close to the same price? Because you’ll be hard-pressed to find an old one that plays this well and has such solid intonation. This guitar has that vintage mojo without the attrition of 67 years of hard living. Gibson’s Bozeman plant currently produces guitars that would have shined at any time during the company’s long, illustrious history. Who knows? Maybe the guitars from Gibson’s Montana team will someday be as revered as the work of Lloyd Loar in 1919 or the electrics that came out of the Ted McCarty’s tenure through the 1950s. Includes a hard-shell case, limited lifetime warranty, solid spruce top, solid rosewood back and sides, ebony fingerboard and bridge, scalloped braces, dovetail neck joint, nitrocellulose finish. In a 1,500-square-foot manufacturing facility on the second floor of a Manhattan building, Polish immigrant Avram Drong started Guild Guitars in 1953. Although Guild enjoyed quick success with many of their guitar lines, their flat-top put them on the map, helped in no small part by Richie Havens mesmerizing an audience of 400,000 at Woodstock, armed only with his voice and his Guild. Unlike the plain jane Martin “D” series, Guild pimps out its top-of-the-line D55 with aesthetic accouterments like deco-ish abalone and pearl fret markers, multilayered fingerboard and headstock binding, and an abalone rosette. More importantly, the D-55 I test drove featured AAA solid spruce top with very tight, even grain and beautiful, solid rosewood back and sides, which added to its warm, even tone. Parlor shape, Sitka spruce top, Madagascar rosewood back and side; ebony fingerboard, bridge and headstock, three-ring abalone rosette and bridge pins, bone nut and saddle, Taylor-designed Parlor bracing, Expression System ®, all-gloss finish. Includes a hard-shell case and lifetime limited warranty. Taylor celebrates their 35th anniversary with the release of an eclectic collection of limited-edition guitars. 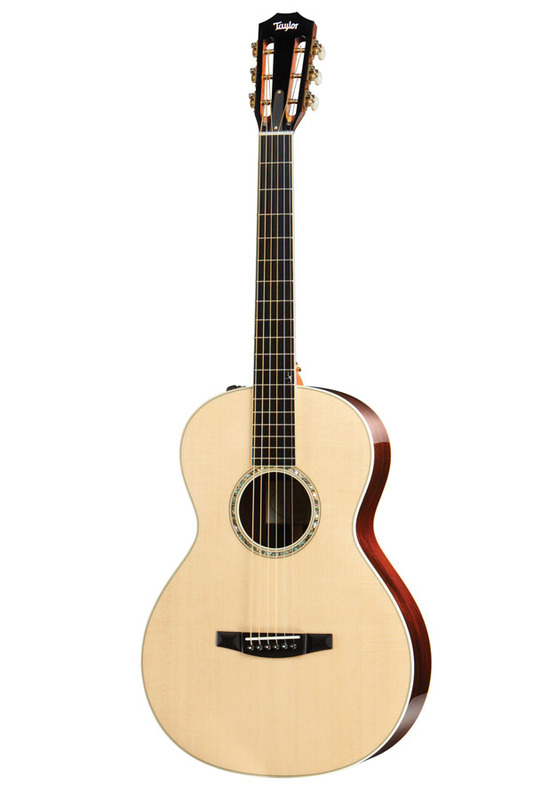 As the roman numerals might suggest, The Taylor XXXV-P is a small but powerful part of Taylor’s 35th anniversary run. 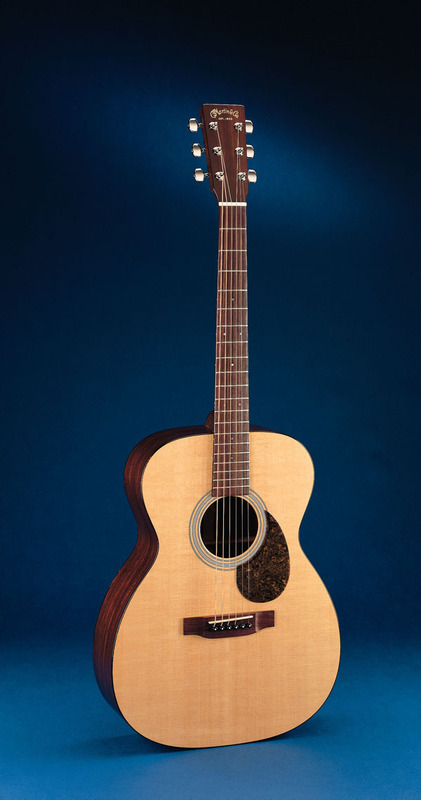 Built as a response to customer requests, the XXXV-P features a parlor body shape designed by Taylor’s Larry Breedlove; that’s right, of Breedlove guitars. Bob Taylor, Larry and Kim Breedlove all grew up hanging out, playing baseball and music together, which eventually lead to their building guitars together. When Larry and Kim left Taylor in the early ‘90s, their first Breedlove Guitar shop was the Taylor Warranty and Repair Center of Oregon. It’s wonderful that in the cut-throat competitive world of guitar manufacturing, these three remain friends who respect and support each other’s work. All of this explains the deep similarities between the XXXV-P and the Breedlove Revival 000, which we touch upon next. They both share a 12-fret, slotted peg-head design, lightweight construction, effortless playability and an amazingly big voice. 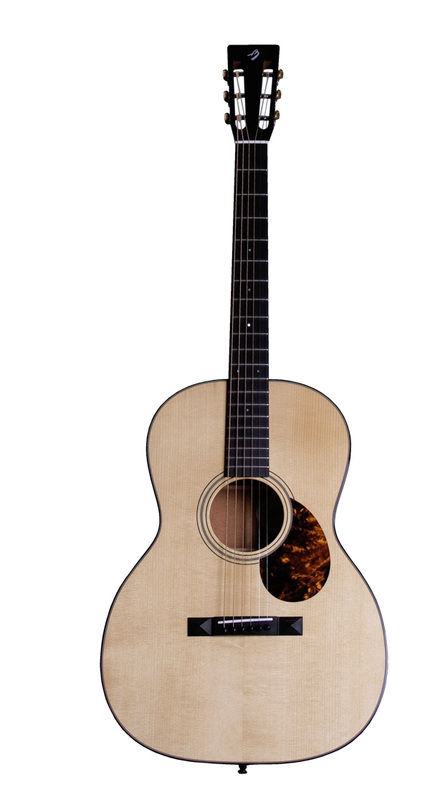 The XXXV-P features a beautiful Madagascar rosewood back and sides and a wide grain, Sitka spruce top. The bridge design, similar to the Taylor nylon series bridge, features shortened ends and scalloped contouring for extra flexibility to enhance top movement and tone while the parlor bracing provide clear articulation to the notes played either delicately with the finger or smacked hard with a pick. For those collectors out there, all 35th anniversary models come with a certificate of authenticity signed by Taylor co-founders Bob Taylor and Kurt Listug, and a “35” inlay on the upper fretboard. Includes hard-shell case, solid red spruce top, Honduran mahogany back and sides, ebony fingerboard and bridge, scalloped braces, tortoise binding, limited lifetime warranty. Breedlove, a company built on cutting edge innovation, manages to meld ingenuity and classic design with their Revival 000-12 fret Deluxe. 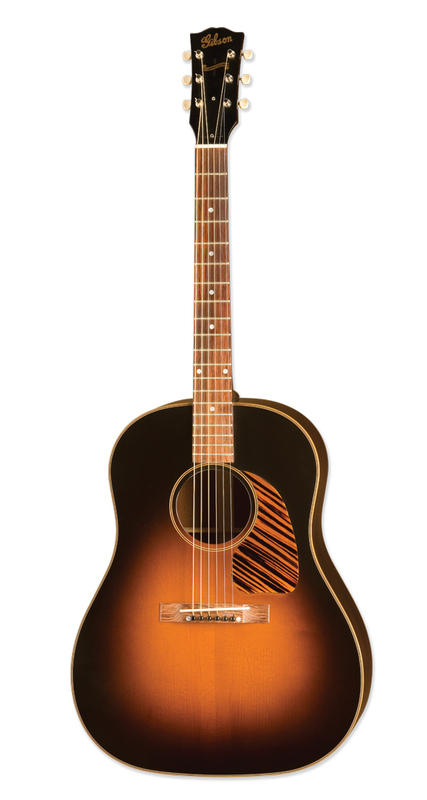 This 000 is part of the Revival Series, which Breedlove describes as “a celebration of our favorite guitars from the Golden Era of guitar building in the 1930s and 1940s.” I own a 1946 Martin D-18, the real deal, so I understand the draw of “Gold Era” guitars. As big a fan as I am of vintage Martins, I do suspect that there have been some technological advances in the past 60 years that could, in fact, make these great guitars even better. Breedlove manages to apply technological advances with a sense of reverence, which keeps the most important traditional components in place. This 000 features forward X bracing and a graduated top thickness, which is thicker in the middle and thinner toward the perimeter, almost following the shape of a speaker, delivering a tone that is powerful and focused. This is the loudest little guitar I’ve ever played and can cut through a room full of dreadnoughts in a bluegrass jam. More importantly than its projection, the Breedlove 000 is perfectly balanced. Every string rings evenly so that no notes are lost in any chord voicing. Breedlove passionately embraces creativity. Look at their diverse product line from the beginning and you will find models unlike any others. Some guitar makers paradoxically allow their creative artistry to limit them; they refuse to explore charted territory. Breedlove manages to find new, undiscovered tones in the tried-and-true territory of traditional models. The Revival came about by request from Breedlove owners who wanted Breedlove quality applied inside the box, rather than outside, a bit like an avant-garde jazzer playing a straight country gig. This 000 has all of the vibe of its Gold Era progenitors with none of their shortcomings. It’s an addictive, fun guitar to play. Includes hard-shell case, redwood top, Madagascar Rosewood back and sides, ebony fingerboard, bridge and head-cap, flamed Koa binding, bone nut and saddle, offset sound hole; non-adjustable, carbon fiber truss rod; Buzz Feiten intonation, L.R. Baggs electronics, UV finish. When Matt McPherson began designing the MG series of guitars, he started with a blank slate rather than following in the footsteps of other guitar designs. Whereas traditional guitar builders place the braces to accommodate the sound hole, McPherson’s top braces arch over each other, allowing each brace to resonate fully, which meant moving the soundhole to accommodate the sound. A novel approach, indeed. 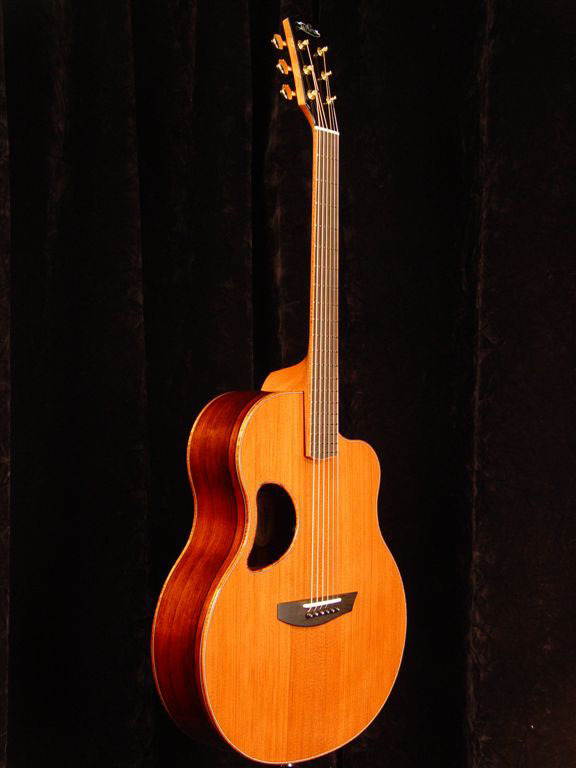 Innovation didn’t stop with bracing and the sound hole; McPherson uses a cantilevered neck, allowing the top to vibrate freely without any damping from the fretboard. McPherson also uses a non-adjustable graphite truss rod which is 22 times stronger than a steel rod of the same size. (This makes me a tad nervous. I remained locked in the old-school belief that life deals out a beating and eventually we all need an adjustment regardless of how strong we are. I may be wrong, but I like the option to tweak.) McPherson also installs a brass taper pin in the heel and uses a stainless steel screw to triangulate the heel structure. McPherson maintains “the use of the graphite, brass taper pin and steel screw give our necks strength and stability like no other neck on the market.” The company cuts their saddles using the Buzz Feiten intonation system, which allows the intonation to remain correct all the way up the neck. MG 4.0 is not a normal guitar; you can tell by looking at it. It sounds different and feels different than a conventional guitar. It is effortless to play and possesses a clean, ringing tone. The workmanship is flawless and the wood is stunningly beautiful. I think, if McPherson was your first guitar you would probably never feel at home on anything else, which would not necessarily be a bad way to go through life. Includes a hard-shell case, solid Engelmann spruce top, solid maple back and sides, ebony fretboard and extension, ebony bridge, ebony headstock veneer, radius fretboard, cast and plated Collings custom tailpiece, matte-finished nitrocellulose finish, nickel tuners and tortoise binding around the top. So why are we including a mandolin in our list of legendary guitars? To demonstrate the creative spirit of today’s guitar builders. These guys can’t leave well enough alone; they are constantly designing and exploring new areas of sound. Not atypical of modern guitar companies, Bill Collings began his alone in a garage with a few hand tools building instruments. Colling’s love of carving wood for 25 years led to building arch-tops, and mandolins seemed like a natural extension of that. Collings put a lot of time into researching mandolin designs and received lots of cooperation from mandolin greats Mike Kemnitzer and Steve Gilchrist. With that help and Collings own incredible knowledge of wood and how it works, plus his experience in designing, building and repairing instruments, he was on his way to becoming one of the premier mandolin builders in the country. The Collings’ MT mandolin carries all the quality and vibe of their much sought-after guitars. Though their Mandolin line may not yet carry the same cachet as their guitars, with quality like this, the sort of street credibility can’t be far away. With a fully carved Engelmann spruce top and maple back and sides, the MT is undoubtedly one of the best values out there in a professional quality, A-style mandolin. It’s even, warm tone really sings. The A-style is a very comfortable shape. After playing it awhile I wondered why all of the mandolin greats work almost exclusively with F-styles? This A-Style MT is an unrecognized gem. Regrettably, writing an article about ten different guitars can often read like a gear shoot-out, winner-take-all contest. That’s not the case here. I’m not one of those little league dads who wants both teams to win, but in this case, each instrument has its own unique purpose. We are not comparing apples to apples, but trying to demonstrate the ongoing development of an instrument that inspires creativity, not only in the music played on it, but in the very way that the instrument is built. The guitar will continue to evolve thanks to innovative luthiers like our legendary ten who continue to explore the possibilities of the guitar.